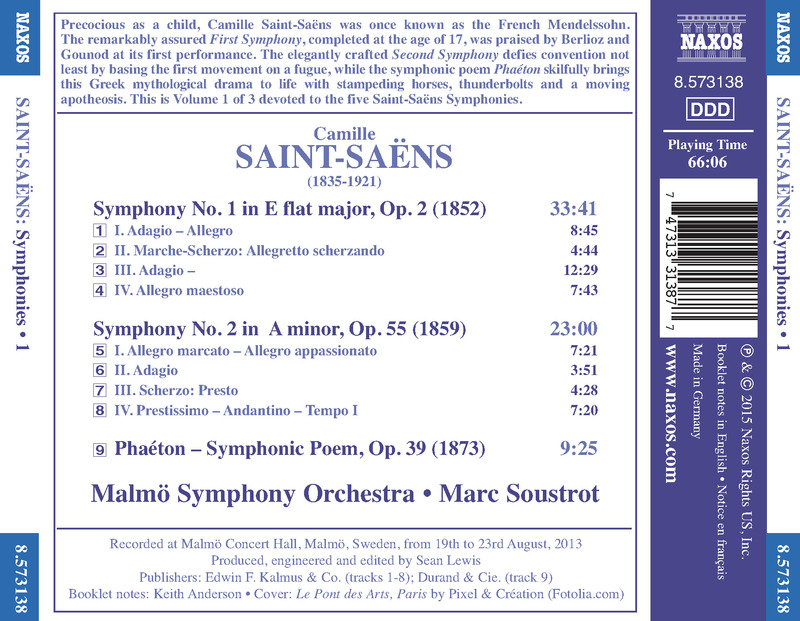 Precocious as a child, Camille Saint-Saens was once known as the French Mendelssohn. The remarkably assured First Symphony, completed at the age of 17, was praised by Berlioz and Gounod at its first performance. The elegantly crafted Second Symphony defies convention not least by basing the first movement on a fugue, while the symphonic poem Phaeton skilfully brings this Greek mythological drama to life with stampeding horses, thunderbolts and a moving apotheosis. 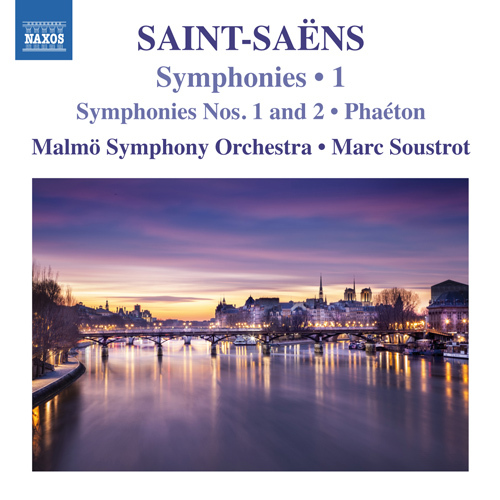 This is Volume 1 of 3 devoted to the five Saint-Saens Symphonies.